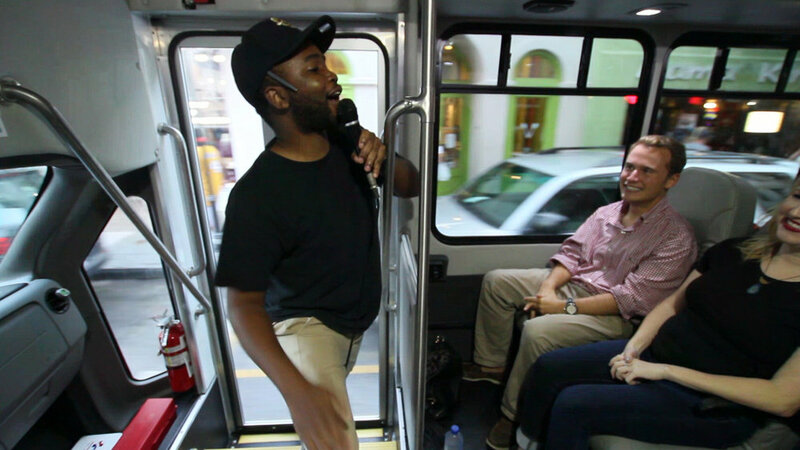 Our comedy bus is absolutely hilarious, but it's only for audiences 21 and older. If you're looking for a tour appropriate for all ages, please check out our other offerings. Secondly, this experience is to entertain, not inform. Get ready to laugh uncontrollably as you experience Charleston's most hilarious comics. 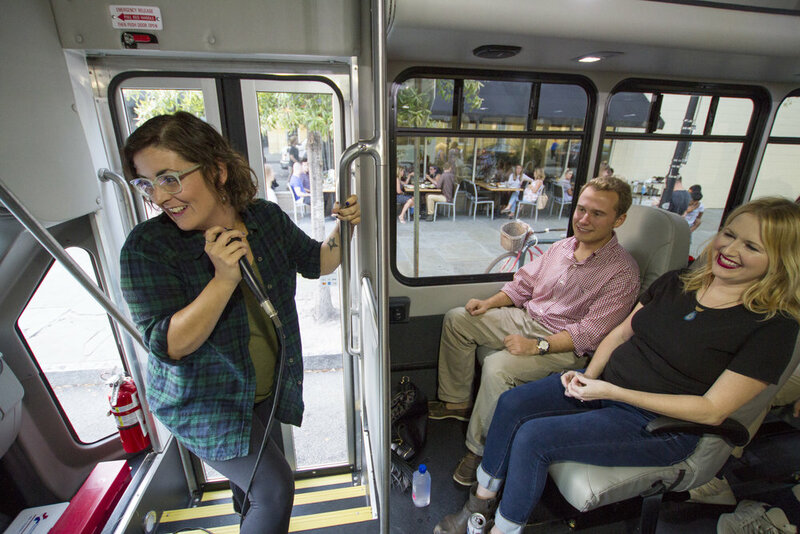 Hear about the stories you won't find anywhere else, and get a local's perspective on everything with just sixty minutes on our bus! The show starts and concludes at the heart of Charleston's best gathering spot, with our friends at HŌM. View their menu for a peek at the awesome foods and beverages to enjoy before/after the show. Best burgers and brews in town! The Charleston Comedy Bus bookings must be cancelled or modified 24 hours in advance in order to avoid a fee. No-shows and bookings for people under 21 will not be refunded.